Predicts successful extubation, to be used only as a single component of the clinical picture. Use in intubated patients breathing spontaneously who meet other clinical criteria for weaning from mechanical ventilation. The RSBI should not be the sole determinant of extubation. Intubated patients who are breathing spontaneously, such as during a spontaneous breathing trial, and meet other clinical criteria for weaning from mechanical ventilation. The RSBI is one component of a clinical assessment that may help predict success versus failure of extubation. Applies only to patients who are breathing spontaneously, since the formula is based on respiratory rate and tidal volume, which would be artificially dictated by vent settings in modes such as assist control and pressure control. More sensitive than specific (positive RSBI predicts successful extubation better than negative RSBI predicts unsuccessful extubation). Data show that women are more likely than men to have a negative RSBI (predicting failure) independent of actual extubation outcome. Clinicians can use the positive RSBI as an additional supporting data point to for the decision to extubate. Although the RSBI is generally accepted as helpful in predicting success of extubation, there is a dearth of convincing evidence that its application in decision-making leads to a change in outcomes. Spontaneous awakening trials (SAT) and spontaneous breathing trials (SBT). Resolution/improvement of pathology that necessitated intubation in the first place. Helps clinicians identify patients at risk for failed extubation. Provides an easily interpretable binary result: positive (<105) predicts success and negative (>105) predicts failure. If the patient otherwise meets criteria for liberation from the ventilator, a positive RSBI means they are likely to have successful extubation. Clinicians can use the positive RSBI as an additional supporting data point for the decision to extubate. These patients are more likely to fail extubation. However, there are multiple confounding factors that make a patient more likely to have a negative RSBI, including female gender, smaller endotracheal tube size, and active suctioning during spontaneous breathing. If a patient has a negative RSBI, but in all other respects is ready for extubation, consider potential confounding factors at play resulting in an inflated RSBI value (i.e., a negative RSBI should not necessarily deter clinicians from deciding to extubate). The RSBI is only applicable to patients that are clinically ready for weaning from the ventilator. It is not meant to answer the question of whether a patient is ready for extubation. Rather, it helps to predict the outcome after extubation. where f is respiratory rate and VT is tidal volume in L.
Likely successful wean to extubation (97% sensitive, original study), "positive"
Likely to fail extubation, "negative"
Note: in the original study, a value of 105 was not specified as being positive or negative. As always, use clinician judgment in borderline cases. The RSBI was originally conceived in a prospective observational study by Yang and Tobin in 1991, who sought to examine which indices based on physiologic measurements could be used to predict successful extubation in mechanically ventilated patients considered ready for liberation from the ventilator. They found the RSBI to have a sensitivity of 97% and a specificity of 64%. In other words, the probability of having a positive RSBI in patients who were successfully extubated was 97%, and the probability of having a negative RSBI in patients who were unsuccessfully extubated was 64%. Successful extubation was defined as the patient still breathing on their own for at least 24 hours following extubation. After that, numerous follow-up studies were performed to look at the RSBI, many of which were summarized in a 2001 meta-analysis by Meade et al. Their pooled sensitivity and specificity were somewhat poorer: 84% and 44%, respectively, with a pooled positive likelihood ratio of 1.49 and a pooled negative likelihood ratio of 0.39. As stated before, the RSBI is worse at predicting failure of extubation. Some studies have helped to elucidate which subsets of patients may be more likely to have a false negative RSBI, including the following: female gender, smaller endotracheal tube size, and active closed-system suctioning. Epstein and Ciubotaru looked retroactively at 218 ICU patients that were ultimately successfully extubated and had a documented RSBI within 24 hours preceding extubation, and found that “women were more likely to have [RSBI]>100…lower tidal volumes…and higher respiratory rate…” (p <0.05 for all these findings). Thus, the RSBI calculation results in an inflated number value in female patients. This paper also found that patients with smaller endotracheal tubes had, on average, a higher RSBI, which also reached statistical significance. Furthermore, they found that the effect that a small endotracheal tube had on inflating a patient’s RBSI was more pronounced in women than in men. Another study by Seymour et al in 2009 observed that when intubated patients are being suctioned during spontaneous breathing trials, respiratory rate increases and tidal volume decreases, which would also artificially inflate the calculated RSBI. Another index that is potentially more useful than the RSBI in predicting extubation success is the maximum inspiratory pressure (MIP), also referred to as negative inspiratory force (NIF), which is the maximum negative pressure generated inhaling against an obstructed airway. The MIP can be thought of as a proxy measurement for respiratory muscle strength. A recent paper by Bien Udos et al compared the predictive value of the MIP versus the RSBI in a population of 195 patients and found that the MIP compared favorably with a sensitivity and specificity of 93% and 95%, respectively, compared with their measurements of the RSBI’s sensitivity in the same population: 84% and 91%, respectively. A 2006 RCT in Critical Care Medicine sought to determine whether a clinical practice algorithm incorporating RSBI would change outcomes compared with an algorithm that was identical except with RSBI omitted. They found that the algorithm incorporating RSBI prolonged the time that it took to liberate patients from the ventilator by one day, and did not result in any difference in the rates of in-hospital mortality, extubation failure, or need for tracheostomy. This raised the concern that the RSBI leads to unnecessary delays in extubation without any demonstrable benefit. However, the algorithm required that a patient have a positive RSBI in order to proceed to SBT. As discussed above, there exists a subset of patients in whom the RSBI will be a false negative. Thus, it is quite possible that some of these patients whose SBT was pushed back because of a negative RSBI result were indeed ready to proceed to an SBT. The original study by Yang and Tobin calculated the RSBI using a manual tidal volume measurement, via a spirometer connected to the patient’s endotracheal tube during a one-minute period of spontaneous breathing before an SBT. Tidal volume (VT) was calculated by taking the minute ventilation and dividing it by the respiratory rate, f. Naturally, it is much easier to measure the RSBI by looking at the measurements automatically taken by the vent machine. A study by Souza and Lugon verified that measuring tidal volume via the vent machine’s readings was consistent with the manual measurement taken on the same patient. In this study, measuring VT manually was performed identically to the original Yang study. Whereas, measuring VT via the vent was performed by placing the patient on pressure support for 5 minutes, then once again dividing the average minute ventilation over this time period by the average respiratory rate. Another question that has arisen following the rise of RSBI’s popularity is whether it is applicable to patients who have been mechanically ventilated for a prolonged period of time. Verceles et al examined the applicability of the RSBI to patients in a long term acute care facility who had been mechanically ventilated for >21 days, all of whom had underwent tracheostomy. They found no relationship between initial RSBI or daily RSBI and likelihood of successful liberation from the vent. However, they did find that, over the entire course of the patient stay, the average RSBI value was statistically lower in patients who were ultimately successfully liberated from the vent. That being said, the average RSBI values were patients that were weaned versus not weaned were 78.7 and 99.3, respectively. In other words, this is a departure from the traditional application of the RSBI as a binary result (either positive or negative), so it is difficult to apply the results of this study to actual practice. Yang KL, Tobin MJ. A prospective study of indexes predicting the outcome of trials of weaning from mechanical ventilation. N Engl J Med. 1991;324(21):1445-50. Bien Udos S, Souza GF, Campos ES, et al. Maximum inspiratory pressure and rapid shallow breathing index as predictors of successful ventilator weaning. J Phys Ther Sci. 2015;27(12):3723-7. Souza LC, Lugon JR. The rapid shallow breathing index as a predictor of successful mechanical ventilation weaning: clinical utility when calculated from ventilator data. J Bras Pneumol. 2015;41(6):530-5. Verceles AC, Diaz-abad M, Geiger-brown J, Scharf SM. Testing the prognostic value of the rapid shallow breathing index in predicting successful weaning in patients requiring prolonged mechanical ventilation. Heart Lung. 2012;41(6):546-52. Meade M, Guyatt G, Cook D, Griffith L, Sinuff T, Kergl C, Mancebo J, Esteban A, Epsein S. Predicting success in weaning from mechanical ventilation. Chest. 2001;120(6 Suppl):400S-24S. Epstein SK, Ciubotaru RL. Influence of Gender and Endotracheal Tube Size on Preextubation Breathing Pattern. Am J Respir Crit Care Med. 1996;154(6 Pt 1):1647-52. Tanios MA, Nevins ML, Hendra KP, Cardinal P, Allan JE, Naumova EN, Epstein SK. A randomized, controlled trial of the role of weaning predictors in clinical decision making. Crit Care Med.2006;34(10):2530-5. Seymour CW, Cross BJ, Cooke CR, Gallop RL, Fuchs BD. Physiologic impact of closed-system endotracheal suctioning in spontaneously breathing patients receiving mechanical ventilation. Respir Care. 2009;54(3):367-74. 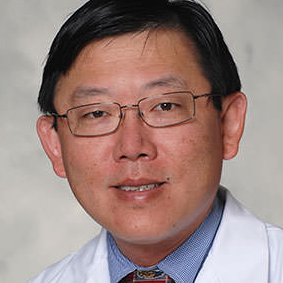 Karl L. Yang, MD, is an associate professor clinical medicine at the Indiana University School of Medicine. He is a practicing physician in sleep medicine and pulmonary critical care. Dr. Yang's primary contributions to the medical literature have been in optimal management of mechanical ventilation.